Love is not just for Valentines Day. 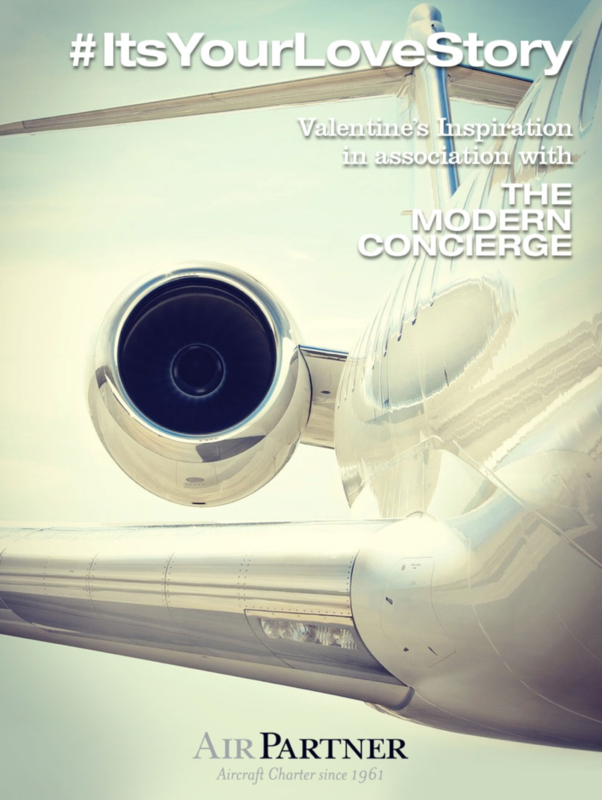 #ItsYourLoveStory, our latest collaboration with private aviation leaders, Air Partner plc, offers their clients access to The Modern Concierge private travel planning services at the point of booking a private jet charter with Air Partner. Lovers of the Great Outdoors: private jet escapes to enjoy the wilds of Scotland, inspired by the fabled rugged Scottish landscapes and country pursuits, as much as the romance of luxury hotels and castled country mansions. Renaissance Lovers: the ultimate private jet escape for art lovers, to Florence. Featuring access to the Vasari Corridor, plus The Modern Concierge private apartments and luxury hotel portfolio. Lovers Rock: the private island experience, when two want to be at one. Far from normality, this Bahamian escape offers lovers their own slice of private paradise. A Year in Love: our homage to love in London. A thoughtful and creative year long programme of curated experiences and anticipation to surprise the love in your life.